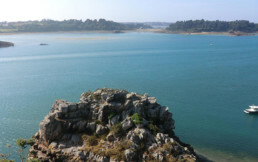 The Vedettes de Bréhat organizes tours to discover the island of Bréhat. Discover the area: Erquy, Val-André, Bréhat, Binic, St Quay Portrieux… From the Pointe de L’Arcouest, situated not far from Paimpol, the boats leave for visits of the island, also called the Flower Island. After a 10 minutes of crossing, you can discover the island of Bréhat all by yourself. Stroll around the island to discover the charming houses, flourishing gardens and the rocky coast of the Flower Island and its pink granite coast. Commentated tour – approximately 45 min. An excellent way to discover the island of Bréhat. 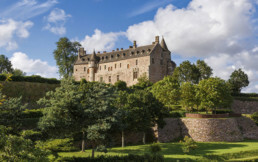 an unforgettable tour, followed by a stopover on the island for a free visit. Return at your convenience with a direct crossing. It is also possible to make special sea trips. Three trips proposed by the Vedettes de Bréhat. According to your wishes, or on the occasion of a family or professional event, we can organize a maritime excursion on one of our boats. A lunch or maybe a cocktail on board; an original formula for a convivial and unforgettable moment. Reservations only for groups (at least 20 members). 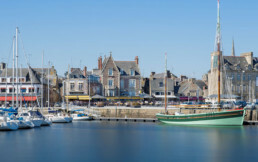 Paimpol is a historic village by the sea. In former times its famous harbor sheltered the schooners on their way to Iceland, equipped for cod-fishing. Nowadays, the harbor welcomes many sailboats and pleasure boats. Two chapels, a church, an ancient cider works, the famous marine festival… it all makes Paimpol a charming village ready to be discovered. In the bay of Paimpol, facing the island of Brehat, the abbey of Beauport, a fascinating example of the religious Brittany architecture. 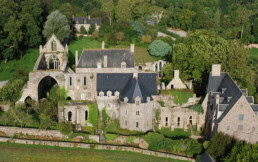 Member of the Network for Great sites in France, the abbey of Beauport and its 110 hectares are an exceptional historic, cultural and natural heritage. In Beauport’s bay, the maritime landscape changes every hour. In the heart of the Trégor, you will find the domain of la Roche Jagu. Nowadays, a proudly military fortress from the fifteenth century, renovated in accordance with former traditions. Almost 60 hectare of surrounding land has been acquired by the Department. Since 1992, a part of it became a garden. The rest is covered by forest and fields, purchased bit by bit to preserve this site, classified since 1974 a pastoral and ecologic unity.